What does Lean have to do with family? 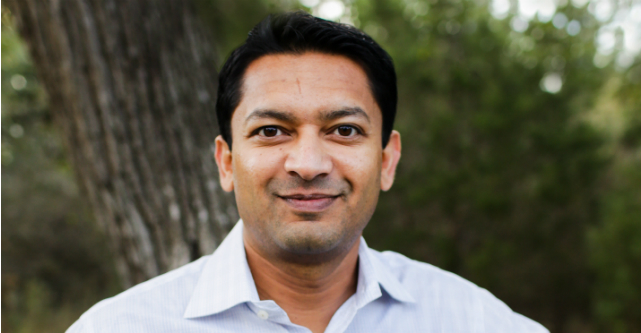 Today the thought leader on lean, Ash Maurya, talks about just that. One of my favorite quotes during the interview…. You can’t negotiate for time with a crying baby. I needed to be a lot more efficient with my time. Now I carve out my day systematically. I tend to give people a high level answer, and if people ask a question I’ll go in deeper. I say I’m an author, then say I write business books, and on and on. I’ve recently read your books and bought into the principles, could you talk about writing the book? Before I was an author I called myself an entrepreneur. This was never in the plan. This started by being frustrated with my own processes. We prematurely fall in love with our solution rather than the problem. I didn’t start by writing a book, I started with a blog. It was good timing to start joining the Lean conversation. So I used to be more of a tech founder, and now what I’m doing is I work with entrepreneurs, I speak, I write books, and build software for entrepreneurs. How have you helped evangelize this and seen the light bulb go on? I began this to get clarity for myself, but began to realize people were making these mindshift mistakes. As I began my research I discovered that there were people all over the world running into the same types of problems. So in my new company I make sure to fall in love with the customer problem. We’re not in the book business or consulting business or software business. We’re trying to build a better entrepreneur. Where’s the overlap with how you’ve approached parenting? People ask how I balance kids and startups. I dedicated the first book, Running Lean, to my kids because I learned from them the true value of time. I like to spend time early in the day getting an accomplishment done so that I can feel good the rest of the day and live a more productive life. Would you say now that you’re out of the infant stage, how has that affected your parenting? I’ve grown up with Indian parents, they tend to be heavy on the education side and STEM. Very rigorous. But with the new world you can go online and pick any skill and get good at it. I learned this about myself. Most of my skills have been self taught. School teaches us how to learn. We put our kids in a Montessori school. It’s kids essentially educating themselves. There’s a guide who helps them make sure they get exposure to everything. We try to do that at home too. We don’t plan things for them, they’re able to come up with things for themselves to do. We try to create that space. How early did they start Montessori? When they were three and two and a half. With leaving slack time, there’s a direct overlap between how we work, is that what drove you to montessori? In my early years in Nigeria I was going to a Montessori-esk school. Maria Montessori developed this by studying how kids work. Kids being a smaller version of the adult mind, and with different stages of development. Kids do projects and reports together at a younger age when they’re developing social skills. Soft skills are very important as you get older. In this education system we find out that there’s not just one right answer, which is what we know as entrepreneurs too. As long as we teach them how to learn, when they ask us questions we try to make it more socratic. When I work with startups I tell them my work is more behavioral psychology. What do you hope for for the future? There’s another great book. Strengthsfinder. This unique value proposition applies to individuals, too. So my tend likes math more, and my daughter prefers reading. It’s guiding them and helping them amplify their strengths (while still having enough skill in the other areas). What’s your two cents you’d give to a new father? It’s taking it one day at a time. There’s nothing you can do to prepare. It’s life changing in a positive way. The first few months aren’t as interesting, it’s a lot of work, and then once they start to interact with you those are very exciting times. Every age is a great age. You can learn so much from kids, even about yourself.